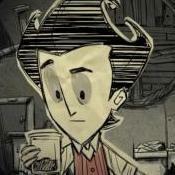 When I try to create a new world in ROG and select any non-ROG character, the world is created as it should be, but the character switches to Wilson. I've tried a bunch of combinations of settings, but I can never get both ROG and non-ROG characters in one save. Has anyone else had this problem, and if so, how did you solve it?